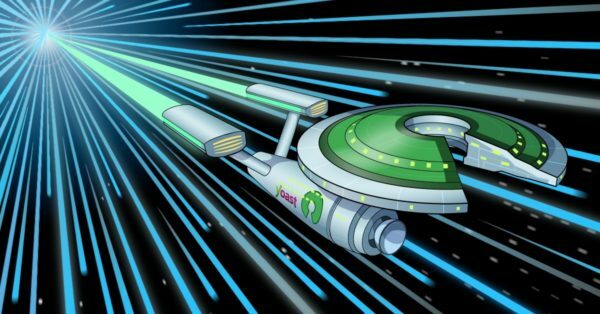 Home » SEO blog » Mobile SEO » AMP » Ask Yoast: Redirect responsive pages to AMP pages? Ask Yoast: Redirect responsive pages to AMP pages? A few years ago, Google announced the AMP (Accelerated Mobile Pages) project, and it’s becoming increasingly important for all kinds of websites. AMP is a technology to make webpages faster on mobile devices, improving loading times by stripping some of the design. Initially, AMP was mainly relevant for static content, like blogposts or news articles, that didn’t need interaction from the user. But these days, it’s also useful for dynamic types of pages that site owners of (small) businesses might want to use. Implementing AMP on your site can be a bit daunting if you’re new to technical SEO. But if you manage to get it right, you may even end up preferring the clean, focused look of your AMP pages. I’m thinking of redirecting all my responsive pages to my AMP pages because I prefer their look. The AMP pages click through rate is astounding but I’m wondering what the SEO implications will be. “Well, to be honest, what do you call a responsive page? If you have separate mobile pages that you can redirect to your AMP pages: perfectly fine, go for it. If you have a responsive version of your website, then doing that is actually technically very hard and not something I’d recommend. In the series Ask Yoast, we answer SEO questions from our readers. Have an SEO-related question? Perhaps we can help you out! 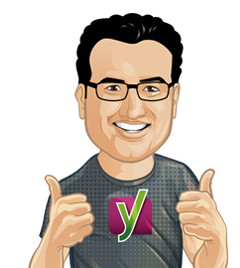 Send an email to ask@yoast.com, and your question may be featured in one of our weekly Ask Yoast vlogs. Note: please check our blog and knowledge base first, the answer to your question may already be out there! For urgent questions, for example about the Yoast SEO plugin not working properly, we’d like to refer you to our support page. 7 Responses to Ask Yoast: Redirect responsive pages to AMP pages? Setting up AMP is difficult we tried for our ecommerce application in php but end up with lot of errors and still resolving those issues. But overall we don’t need to worry about that as google clearly stated that AMP is not a ranking signal. I am looking forward to redirecting my pages to AMP. Very impressive content. I am very thankful to the author of this post. I find it informative. I have the WordPress AMP Plugin and Yoast Glue. It’s creating the AMP pages for my blog posts. I’m wondering is there anything else you would recommend doing from an SEO perspective or are the 2 plugins taking care of everything? Hello guys, I have a question for you. I have a website, which is mostly created using Java and we think that we should try changing to AMP, but we are concerned, that it might bring more damage than profit to our website. What do you think? If you only have AMP pages, then no one ever really visits your website (visitors only see cached versions from Google’s servers)… So why have a real website at all? Certainly Google foresee a day when real websites are a thing of the past.